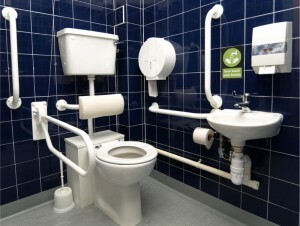 Example of adaptive equipment that an OT might suggest to prepare and assist a client who will be discharged from hospital. Our Occupational Therapists provide hospital discharge planning and home assessments in order to ensure that a patient’s transition from hospital-to-home happens smoothly. A JR Occupational Therapist assesses the need for adaptive equipment, modifications to the home or the need for support services such as a Care Worker or Nurse.